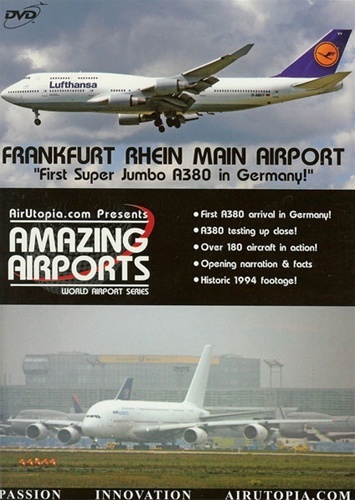 AirUtopia travels to World Top 10 Mega-Airport Frankfurt and captures OVER 10 years of action, including the FIRST Airbus A380 appearance at the airport! 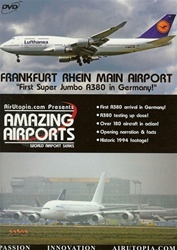 You'll enjoy everything from the complete fleet of Lufthansa to many other aircraft types including many Russian built examples. Boeing aircraft, such as a rare Kazakhstan 747SP along with Douglas and Lockheed airliners to round things out! First Super Jumbo A380 at FRA! Amazing Day and Night Action! Run time is about 120 minutes. Format is NTSC DVD and region-free.